Analysts say why not. Intel is going after its own comfortable stake in the mobile market, where connectivity for wearables and "Internet of Things" household items will be in high demand. 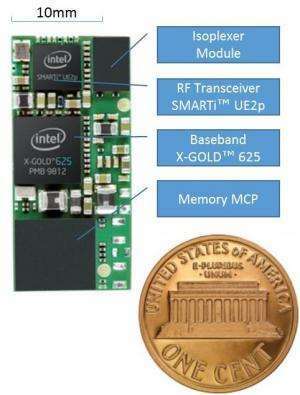 Intel on Tuesday announced "the world's smallest standalone 3G modem" which, noted the BBC, is not much bigger than a UK or US penny. The BBC said it has an area of about 300 sq mm. 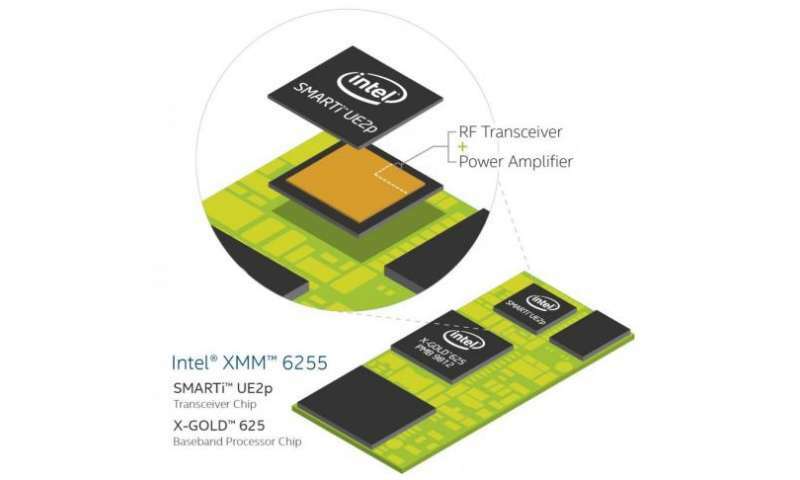 "Today, we commercially launched the XMM 6255 modem to provide a wireless solution for the billions of 'smart' and connected devices that are expected in the coming years," said Intel's Stefan Wolff, vice president of the mobile and communications group. Wolff said it was "perfect for networked sensors and other IoT applications such as wearables, security devices and industrial equipment." The modem is designed to protect against overheating and perform under tough conditions. Intel said the technology at play protects the radio from overheating, voltage peaks and damage under tough usage conditions, which is important for the functioning of safety monitors. Wolff also noted the XMM 6255 modem performs well in transmitting information in low signal zones such as a parking garage or a home basement. Intel said the smaller modem helps manufacturers minimize their build of material costs. Devices with a small form factor such as a smartwatch may not have enough space for a normal-sized 3G antenna, which can affect connectivity quality and reliability, while the XMM 6255 modem is especially designed for such devices, said Wolff. XMM 6255 features the SMARTI UE2p transceiver, representing "the industry's first design to combine transmit and receive functionality with a fully integrated power amplifier and power management, all on a single chip." Numerous studies point to the coming growth of household devices and wearables calling for connectivity designs. Damon Poeter in PCMag said earlier this month that two home product categories appear especially poised for stronger growth. "Accenture found that 13 percent of respondents intend to buy a smart thermostat for their homes in the next year and 43 percent aim to do so by 2019. Some 11 percent of those polled said they will be installing connected security systems this year or in 2015, while 35 percent said they would do so in the next five years."